This Science Day we learned all about Keeping Healthy. We designed and made healthy fruit smoothies, we discussed and created how to make a healthy pizza. We talked about how to keep our bodies clean, fit and looked after, Mrs Burgess even made us get our hearts racing with a big work out! We discovered bones we never knew we had and matched up x-rays to a huge skeleton. Mr Kershaw brought in one of his x-rays for us to look at. We talked about our Five Senses and how special they are, we did a blindfolded taste test where we used our sense of smell, touch and taste to decide what was in our mouths! We also made fruit kebabs with Miss Baldwin, they were delicious! A very educational couple of days! To all the Reception parents and carers, the children love you berry much! On Friday the Nursery children got to show off their fantastic singing to their parents and carers in their Mother’s Day concert. The children worked SO hard learning all of the songs and it was the first time they had ever been on the stage in front of anyone. 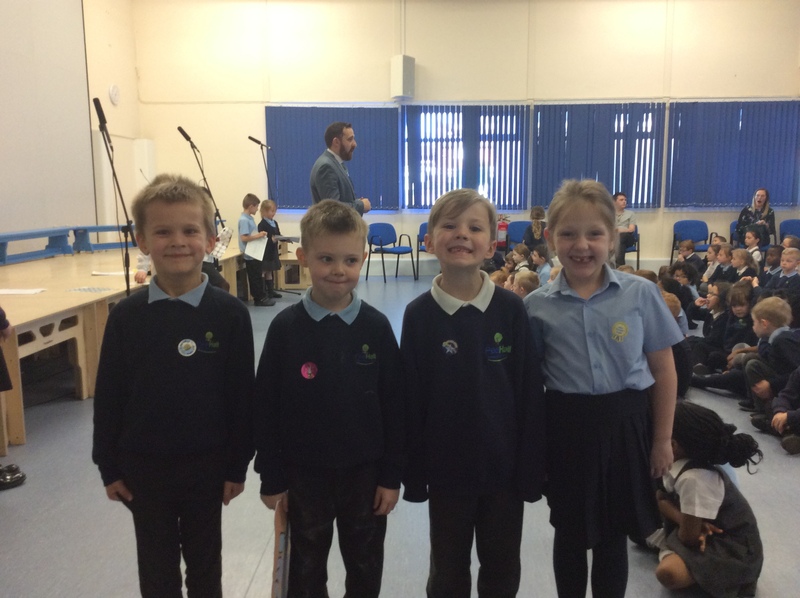 All of the children behaved exceptionally well and gave a brilliant performance. If you missed the performance or simply want to re-watch, then take a look below. Can you can spot Week 4 of the 9 rhyme challenge – Jack and Jill? As part of our Art week this week, 4 Edison decided to head outside. We are looking at the paintings of Henri Rousseau. Rousseau’s paintings are all based on nature and the natural world. After looking at some of his works, we took our sketch books and sketching pencils and headed outside. We looked at the nature around school and sketched some of the patterns and shapes we could see. After that, we came back and added to our sketches. Rousseau is famous for using his imagination to create paintings so we tried this technique too. Rousseau is famous for saying that no one taught him to paint, nature taught him to paint and we really enjoyed being out in nature to test this idea out. Take a look at the video’s and see what you think.